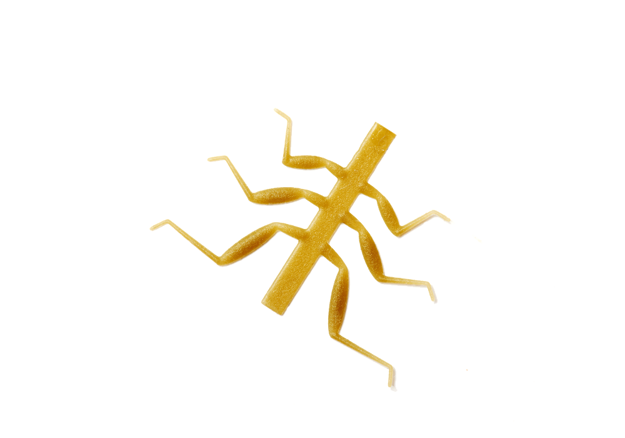 FÃ¶r BÃ¤ckslÃ¤ndenymfer. Set om 12 st Olive Brown i giftfritt silikon, levereras med manual. 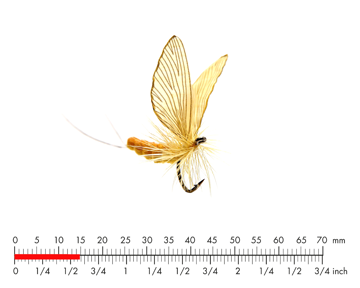 The stage of the new hatched adult mayfly is called Dun. Depending on surronding circumstances such as temperature, wind and weather, the time it takes before the Dun are able to fly away from the surface will vary. These new hatched mayflies are often an easy target for the fish. 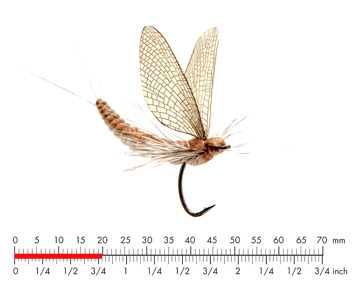 In this stage a mayfly is vulnerable and many will end up in Mr. Browntrout’s stomach. When the hatching is frequent, many fish species might become selective and only feed on Dun’s. As a fly fisherman you will need to use imitations of the real insect. The fly needs to have the right shape, size, proportions, colours and not least, leave the right prints on the surface of the water.